Cruise lines have shied away from Montserrat since the mid-1990s when the Soufriere Hills volcano began erupting. While the volcano is still considered active, seismic activity has been low for several years and the government-imposed exclusion zone in the southern part of the island keeps everyone safe. That's why some smaller cruise lines are once again calling on this beautiful island in the British West Indies. It's a place where you can lounge on a black-sand beach and not see another soul, watch sea turtles hatch from their nests and return to the sea, and hike the Centre Hills Forest. Right now, the list of cruise lines that visit Montserrat is quite short. Windstar Cruises' yacht Star Legend visits on a regular basis during the Caribbean season from December through March, while SeaDream will call once a year in 2016 and 2017. Larger ships from lines like Royal Caribbean, Costa, MSC, P&O, Princess, Holland America, Disney, Celebrity, Norwegian and Carnival visit nearby Antigua, from which it's possible to take a helicopter tour of Montserrat. So, even if your cruise ship doesn't formally call on Montserrat, you still can enjoy a bird's-eye-view of the island. Visiting ships tender passengers ashore at the Little Bay Ferry Terminal in the morning with an all-aboard in the late afternoon. Eventually, Little Bay will be the new commercial hub for the island (the island's capital, Plymouth, was abandoned in 1997), but, as of now, infrastructure is lacking. You will find just a few stalls selling apparel and crafts right beyond the tender station, though taxis are plentiful. The business district is in Brades, a 25-minute walk from Little Bay, but there's no compelling reason to make the trip unless you have to visit a bank or find an ATM. Instead, most daytrippers visit the exclusion zone and Soufriere Hills volcano, enjoy a coastal tour of the island or spend the day at one of the islands' many sand beaches. Montserrat is a British Overseas Territory, but you'll pay for everything with the East Caribbean dollar. The official language is English, but you'll also hear Spanish and Haitian Creole spoken by those who moved to the island during the rebuilding phase in the early 2000s. Monstratians are proud of their island and want to share all of the interesting things about it. Here are 10 things we think are pretty cool about Montserrat. 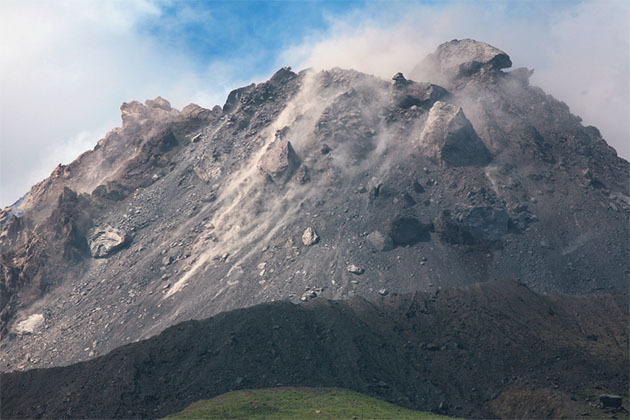 In 1995, the Soufriere Hills volcano erupted for the first time in 400 years. The southern half of the island is now an exclusion zone with highly restricted access to residents and travelers alike. While you can't get too close to Soufriere Hills, you can view it -- and the many lava domes that make up its summit -- from several points across the island. A taxi can bring you here -- as well as the nearby Montserrat Volcano Observatory (see below) -- or you can see it as part of a shore excursion. Montserrat's capital city, Plymouth, was buried by pyroclastic flows and ash when Soufriere Hills roared back to life. Today, most cruisers who come to the island visit this spooky place as part of a bus tour to Montserrat's exclusion zone. You will not have the opportunity to walk on the ruins or get close to the buildings themselves, but instead can view them from the deep-water pier that served the island back in the day. You'll spend most of the tour on the bus, but can get out at the pier for about 20 minutes to learn more about the area from your tour guide, and take photos of the buried city in the distance. 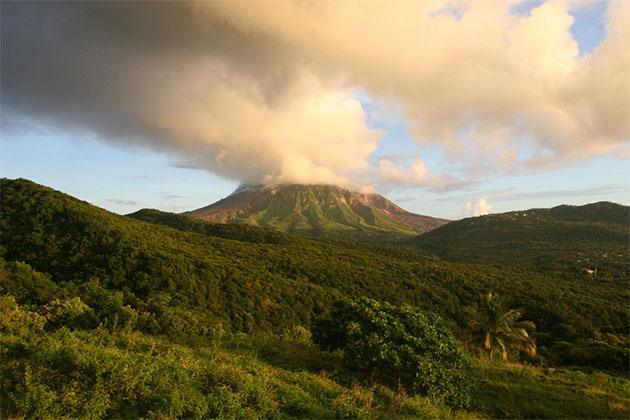 To get a better handle on the power of Soufriere Hills and volcanic eruptions in general, visit the Montserrat Volcano Observatory. From here you can see the summit from a safe distance and watch a movie explaining the progression of the volcano's wrath. 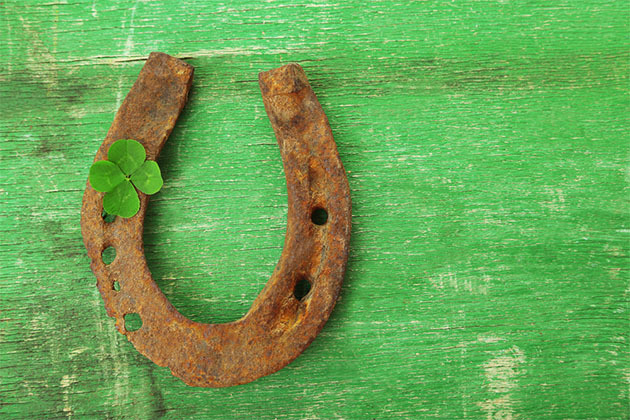 You might be surprised to find that the ancestral home of many Monstratians is Ireland. This tiny Caribbean island is even referred to as the Emerald Isle of the Caribbean because its lush, green coastline is eerily similar to Ireland's. St. Patrick's Day celebrations are a big deal here. Some local crafters pay homage to Ireland by making lacey doilies that you can buy as souvenirs at the Little Bay Ferry Terminal. As Montserrat is a British Overseas Territory, plenty of well-known Brits have set up shop on the island over the years. In the mid-1970s, Beatles producer Sir George Martin opened AIR Montserrat, a recording studio that drew artists like Dire Straits, Paul McCartney, The Police, Rolling Stones, Pink Floyd and many others. The studio was shuddered after Hurricane Hugo devastated the island in 1989, but taxi drivers still take visitors past the studio and regale them with stories of when the world's most powerful British musicians called the island home…at least for a little while. Montserrat is home to some pretty unusual animals, including two that are endangered. Have you heard about the mountain chicken? It's actually a species of frog that can weigh about 2 pounds and live as long as 12 years. The island is also home to the yellow-shouldered volcano bat, only found here and in Guadeloupe. The bat was feared to be extinct after the volcanic activity in the mid-'90s, but luckily the species is still fighting its way back from the brink. Two "forest rangers" on the island offer private bird-watching and hiking tours to Centre Hills: James "Scriber" Daily and Philemon "Mapeye" Murrain. You can visit a dozen islands and never happen upon a black-sand beach. 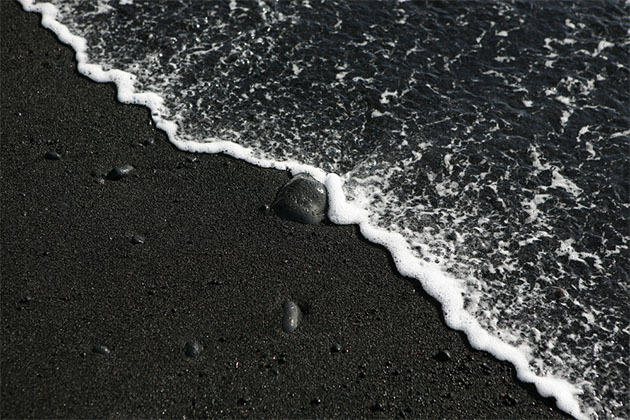 On Montserrat, all of the beaches sport black sand except for one (Rendezvous Beach). Cabs can take you to any of the black-sand beaches or you can walk 10 minutes from the ferry terminal to Little Bay Beach; it's the most popular beach on the island, known for calm waves and its proximity to the restaurants and bars of Marine Village. Other black-sand beaches that are good for swimming include Isle's Bay and Woodlands Beach -- both are south of Little Bay. If you hire a taxi or tour guide, he or she will no doubt stop at Runaway Ghaut on the island's main road and convince you to take a sip from the natural spring. Local lore says: "If you drink from this burn to Montserrat you will return." If you dine at a local establishment, you might see "goat water" on the menu. This national dish of Montserrat is actually a thick goat stew cooked in a tin pot over a wood fire. It's delicious served with crusty bread or rice. The toe-tapping soca song "Hot Hot Hot" is a staple played during nearly every Caribbean cruise deck party. The catchy tune was originally written and recorded by Monstratian musician Arrow (Alphonsus Celestine Edmund Cassell) in 1982. American artist David Johansen went on to cover the tune in 1987 under the pseudonym Buster Poindexter. Both versions of the song were chart-toppers.